Products developed under the Cassava Fintech business are designed to help the poorest and most vulnerable in society get “inclusion” as well as protection from economic shocks and trauma, says Mr Darlington Mandivenga, the Econet Group executive responsible for the Cassava Fintech. Speaking about EcoSure, the insurance division of Cassava Fintech, Mr Mandivenga said the idea was to offer insurance cover that included the poor and most vulnerable members of society. “From the outset our interest has been about making it easier for the poor and most vulnerable to enter the mainstream. We call this inclusion. When it comes to EcoSure, our focus is to develop products that protect the poor and most vulnerable during economic shocks and trauma,” said Mr Mandivenga. He said the death of a bread winner in a poor family often meant that the family would face a serious economic trauma. “It begins with the cost of burying the deceased, which in Africa imposes a huge financial burden on the family. But we have eliminated this problem by offering an insurance package that costs as little as 50 cents and gives a pay out that covers the cost of a funeral,” said Mr Mandivenga. Cassava’s Fintech’s popular EcoSure funeral service provides insurance cover to over 2 million people in Zimbabwe, and is still growing. He however added that as important as the funeral insurance cover was to its beneficiaries, the company was also using their launch experience as an entry point that allowed it to learn more about how insurance works and how to adapt its platforms to deliver such services better. 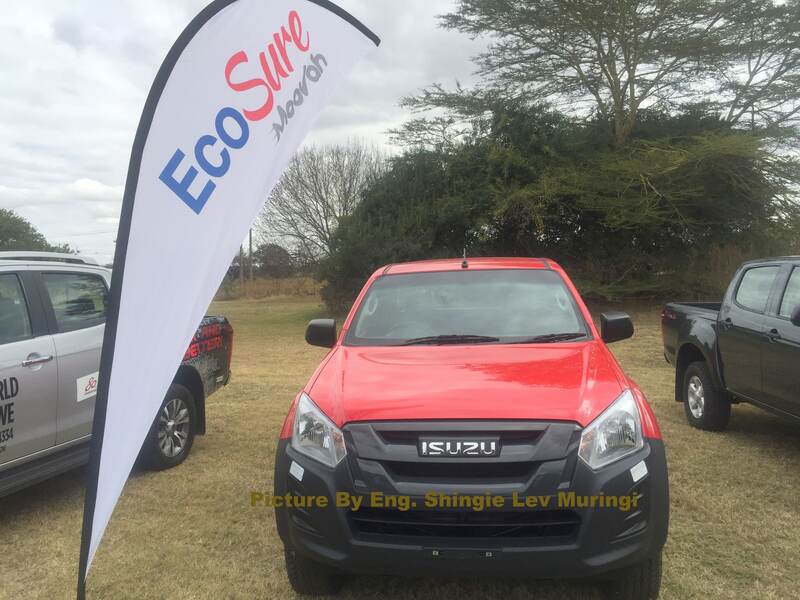 “With the experience we have gleaned from the funeral product plans, we are ready to move to the next level,” said Mr Mandivenga, whose company last week launched a motor vehicle insurance service called EcoSure Moovah, which is set to make vehicle insurance affordable by allowing motorists to pay their 4-month term premiums on a monthly basis. “With EcoSure Moovah, we are targeting those who cannot afford to pay huge lump sums quarterly” said Mr Mandivevenga. “Our model is designed around a small loan to cover the cost, which is payable in more manageable monthly installments. At the same time we have included other products that we already have in our broad portfolio, to make it even more attractive,” he said. The company’s wide product portfolio includes the phenomenally successfully EcoCash mobile money service, which enjoys over 96% of the mobile money market in Zimbabwe, and is responsible for moving over 80% of all electronic payments in the country. “Using a mobile first strategy, the service – which is accessible on ordinary mobile phones using USSD – is also available on an App to enhance customer experience for those using smartphones,” said Mr Mandivenga. He said EcoSure Moovah would over time become more and more sophisticated. “We will continue to develop the service until it is totally driven by AI (artificial intelligence) and Blockchain technologies,” he said, adding that the company was targeting a “total revolution” around insurance. “Even what you eventually pay will be totally customized to your individual needs, based on how you drive, and we will integrate our Connected Car Technologies, so that in addition to simply knowing where your car is at any given time, we will also offer usage-based insurance” he said. Usage based insurance is where the premiums are dependent upon type of vehicle used, and measured against time, distance, driver behaviour and place. Mr Mandivenga also said EcoSure planned to extend its reach into other insurance products. “We have a huge pipeline of products that we plan to launch. These include a Medical Aid for the informal sector business people as well as an extension of funeral cover to include education for children,” he said. “We want to encourage people to cover children’s school fees in case anything happens to them,” Mr Mandivenga said.